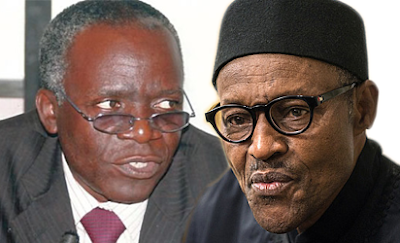 Human rights lawyer and Senior Advocate of Nigeria, Mr Femi Falana, has commended President Muhammadu Buhari’s administration for declaring June 12 as the new Democracy Day. In a statement titled ‘In Celebration of Men of History’ and signed by him on Wednesday, the activist noted that the Federal Government has put an end to the “hypocrisy of May 29” proclaimed since the return to Democracy. President Buhari had announced that June 12 would replace May 29 to honour Abiola – the late presumed winner of the June 12, 1993 Presidential Election. He explained in a statement that the replacement was necessary because June 12 was more symbolic, as well as conferred a posthumous GCFR title on the late businessman and philanthropist. Commending the President’s action, Falana said Buhari’s administration made history by honouring Abiola’s huge contribution to the restoration of democratic rule in the country. He added that by declaring June 12 Democracy Day, the Federal Government has officially validated the integrity of the fair and free election that was annulled in 1993. The lawyer also praised the Government for conferring a posthumous national award of Grand Commander of the Order of Niger (GCON) on Gani Fawehinmi (SAN). He noted that by such move, it has officially endorsed Fawehinmi’s enormous contributions to the titanic battle against military dictatorship and promotion of human rights in Nigeria. Falana, however, advised the Government to adopt Abiola’s Programme of Welfare to Poverty, in addition to the historic gesture. He also asked them to respect the human rights of all Nigerians which Chief Gani Fawehinmi SAN championed and defended in his lifetime. The Senior Advocate also wants the Government to mark the first National Democracy Day on June 12, 2018, with the release of all citizens who are being detained illegally all over the country and immediate compliance with all valid and subsisting court orders. He also demanded a posthumous award for Abiola’s wife, Mrs Kudirat, whom he said was assassinated while defending the June 12 mandate, and others who equally paid the supreme sacrifice in defence of democracy and the rule of law.